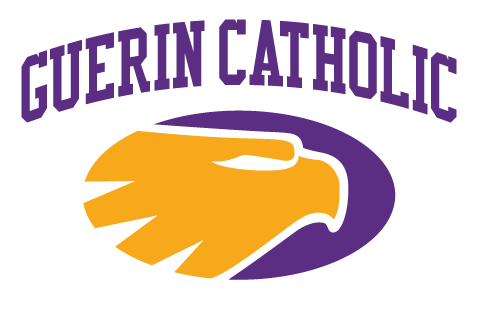 Golden Eagle Testimonials are a collection of personal experiences, stories and memories from past Guerin Catholic student-athletes. A different student-athlete will be featured periodically. Today’s testimonial comes from Matt Quinn ’17. 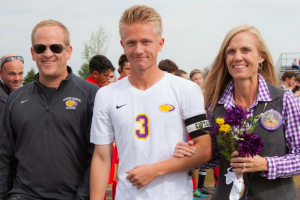 Matt was a 3 year varsity letterwinner for the Boys Soccer program and a 2-time Academic All-State Selection. Off the playing field, he was a 2-time DECA State Finalist while receiving a Full IB Diploma. During Matt’s senior year, he was chosen as a team captain and served as a member of the 2014 State Title team. He currently attends the University of Notre Dame. As the oldest child in the family, I am consistently the trailblazer (or guinea pig, to use less cool vernacular) for my younger siblings. The decisions I make often pave a similar path for my sisters and brother. Among other things, choosing a high school definitely fell into this category. I am overwhelmingly glad to have chosen Guerin Catholic. Guerin Catholic is a special place inside and out. Its halls are filled with spectacular people at all levels, from its faculty to the custodians to the student body. I consistently felt like a part of a unified community, with love and support at every step of the way. In the classroom, teachers and classmates pushed me to become the best and most complete student possible. My spiritual life continued to develop and strengthen. With extracurriculars such as the Catholic Life Committee and DECA, I could use my talents to help others and engage in high levels of critical thinking. At school events not during the school day, I could support others and their hard work on the field, court, or stage. On the soccer field, I could play a sport I love with people I consider a brotherhood. 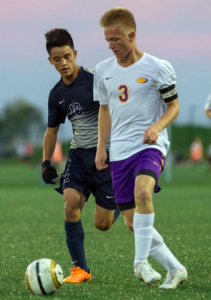 The boys soccer program at Guerin Catholic provided me with friends and memories that I will remember for the rest of my lifetime. 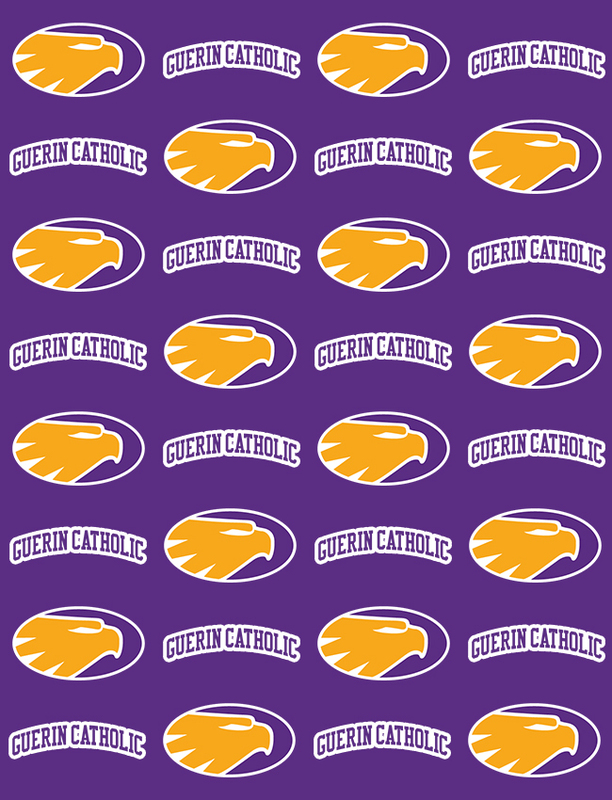 There are obviously a number of special experiences that the whole Guerin Catholic community was present for, such as the 2014 State Championship or beating Cathedral under the lights at Grand Park my senior year. However, the experience behind the curtain truly made my time there special. Summer conditioning made my legs feel like lead and two-a-days tested my will at every turn. Team dinners, bus rides, and other bonding events brought together a group of people that likely would not have had much interaction otherwise. The leadership of upperclassmen when I was a freshman and sophomore was spectacular, and I gave my best efforts to replicate that my last two years. The coaching staff did a remarkable job in taking kids who were pretty good soccer players and turning them into a cohesive unit on the field. For anyone that followed a full season of the Varsity team, this was distinctly evident. Preseason usually resulted in some ugly losses and the first few games of the regular season often followed suit. However, at some point without fail during the year, the team would turn it around and start to be successful. By the time the postseason rolled around, each team found a rhythm and had an identity. Off the field, teams also underwent significant transformations. Egos that some had at the start of the year bit the dust as people began to trust each other and bonds were formed. I personally cannot give enough credit to those at the top for orchestrating this process year in and year out, and I know that it continues as the years go on. I know for a fact that while the boys soccer team is unique, it is certainly not the only sports program that holistically impacts its members. Each program has its own proud traditions that make students feel welcome and a part of something bigger than themselves. Athletes across all sports know the privilege of wearing the purple and gold and know a loving community backs them at all times. Upon graduating from Guerin Catholic, I left behind some of the closest friends I have ever had and memories I will not soon forget. The boys soccer program has been a significant contributor to both of those things. The lessons I have learned have stuck with me and served me well through my first few semesters at Notre Dame. I carry a great sense of pride in my high school experience and am quick to tell my college friends about the joys I had throughout my time at Guerin Catholic. I am confident it is the same for others; a place this special is just too hard not to brag about.